Google’s lead generation program is making waves in the home services industry. 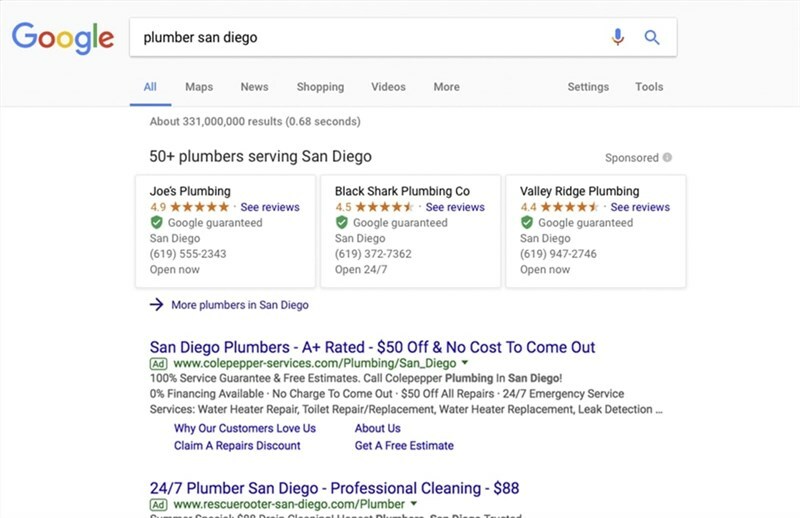 If you’re part of the program and are tackling it on your own, we wanted to share some helpful knowledge on the ins and outs of Local Services ads by Google. How can you get higher rankings on Local Services ads? First, let’s review how the program works for your business. Local Services ads by Google is a pay per lead generation program. Local Services allows you to advertise your business on Google and receive leads directly through your listing. You can engage with and manage your leads right through your Local Services dashboard. It’s an exclusive program – meaning every business in the program must meet Google’s requirements in order to join! You can receive the Google Guarantee badge through this program- a green checkmark next to your search result that indicates you’ve met Google’s requirements and are a trustworthy business. Any business with a badge means that Google backs your company and will compensate customers up to $2,000 for unsatisfactory work. This moneyback guarantee provides a strong incentive for people to consider your services, because your business has been vetted by Google. How Can You Boost Your Rankings? Disposition Your Calls. This is super simple and effective- log into your dashboard, either online or through your mobile app, and navigate to the Leads Tab in the dropdown menu that displays your phone call leads.Simply mark the lead as “Booked”, indicating to Google that you’ve received this call and have moved to the next step of the sales process. Google’s guaranteeing your business to potential leads, so they want to know that you’re actually servicing those leads. They’re rewarding businesses who regularly give them that info by ranking them higher in search results. Get Reviews for Local Services ads. Local Services actually has its own review section that is not associated with Google My Business, so it’s important to build up reviews on this platform. Like all reputation management strategies, the more reviews you have for your business, the better you’ll perform in the rankings. Important Note: If you need to change your business address, you must work with a Google Rep. However, doing so may delete all of the reviews you’ve received for your Local Services profile under your old address. Unsure about what to do next? Let your account manager know and set up a time to discuss the changes. Don’t Be Afraid of a Budget. Local Services ads works as a cost per lead program- meaning you’re only paying for the leads you receive through your ads. Google will push your business if your budget is higher than other competitors in your area. Don’t be afraid to put a budget behind this program, it’s a win-win scenario: Google favors your ads and you get more business! Local Services Ads by Google is a new avenue in your lead generation strategy. Incorporating this as a part of your overall digital marketing strategy will help you accumulate more leads and drive your business forward. If you have any questions, feel free to reach out to your account manager.